The falling leaves, the crisp chill in the air, the smell of a distant fireplace burning - all of those signs of Fall compel us to do one thing - head into a dark theater and watch as many movies as possible! This week we discuss four new movies we've seen that we want you to know all about. Hear our thoughts on Call Me By Your Name, Wonderstruck, The Florida Project and Suburbicon. Within our discussion Sean reveals why you're not going to hear him use the 'O' word (Oscar) until 2018 and Amita shares why she's planning to limit her movie trailer consumption. Also, we have a special guest #BigSell30 from Zara Findlay-Shirras who double Big Sells us her new travel site Half Moon Guides and her podcast Totes Faves (last year we big sold Zara's fab Instagram feed - @DanaScullyStyle ). And Amita Big Sells Sean on a favorite new photographer, Stefan Draschan. Inside Pop is joining Maximum Fun! Attention, pop culture enthusiasts! Join Amita Patel and Sean David Johnson for an insider's look at the entertainment industry on Inside Pop, Maximum Fun's newest podcast. 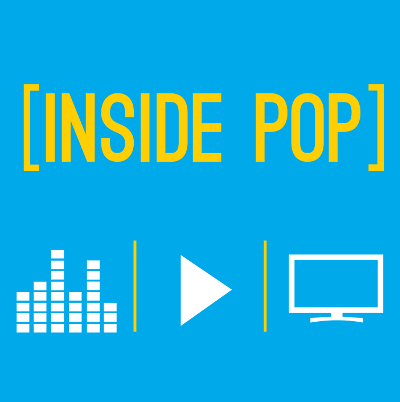 Starting July 5th, you'll be able to find new Inside Pop episodes right here. Don't miss a single moment -- subscribe now in Apple Podcasts or wherever you download podcasts.